Brave Irene is Irene Bobbin, the dressmaker's daughter. Her mother, Mrs. Bobbin, isn't feeling so well and can't possibly deliver the beautiful ball gown she's made for the duchess to wear that very evening. So plucky Irene volunteers to get the gown to the palace on time, in spite of the fierce snowstorm that's brewing - quite an errand for a little girl. 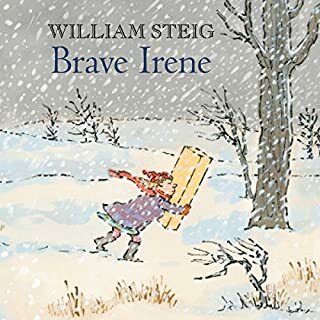 But where there's a will, there's a way, as Irene proves in the danger-fraught adventure that follows. 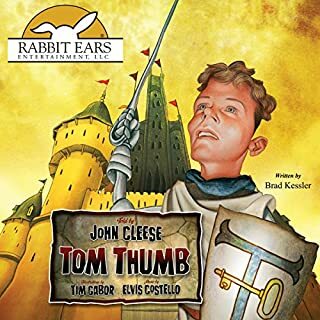 Tiny Tom, no larger than his father's thumb, embarks on a series of fantastical adventures that lead him to King Arthur's court. After saving King Arthur from the clutches of an evil sorcerer, he becomes a member of the Knights of the Round Table, and the darling of Queen Guinevere. 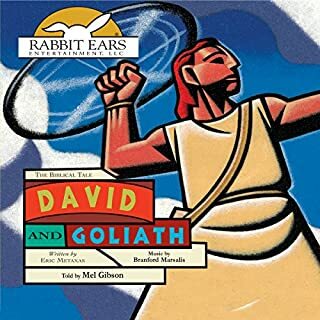 Your entire family will enjoy the inspiring story of David, a young shepherd boy armed only with a slingshot - and the power of faith - who miraculously saves his people from the Philistine giant Goliath. The Philistine champion is unlike anything the Israelite soldiers have ever seen. When David sees the Israelites' fearfulness, he is angered. "Who is that Philistine that he dare defy the armies of the Lord God?" he asks the trembling soldiers. Princess Cora is sick of boring lessons. She's sick of running in circles around the dungeon gym. She's sick, sick, sick of taking three baths a day. And her parents won't let her have a dog. 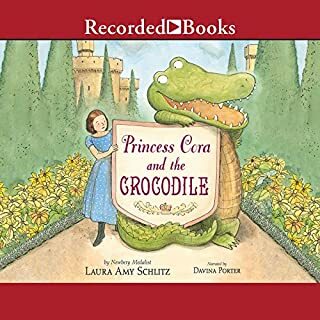 But when she writes to her fairy godmother for help, she doesn't expect that help to come in the form of a crocodile - a crocodile who does not behave properly. THE WORD STUPID OUT OF THE CROCODILES MOUTH. 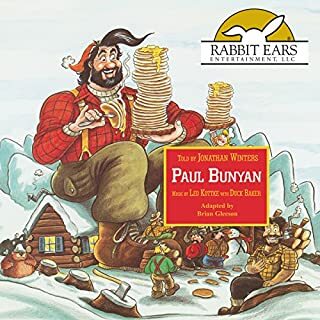 Big as a mountain and stronger than a grizzly bear, Paul Bunyan was the greatest lumberjack ever to swagger through the North American forests. All the larger-than-life characters in Paul's supporting cast are here, including Babe the Blue Ox, eating her ton of grain a day, and Hotbiscuit Sally, with her acre-and-a-half griddle. The outrageous adventures of this quintessential American hero represent the very best in the proud tradition of American storytelling. 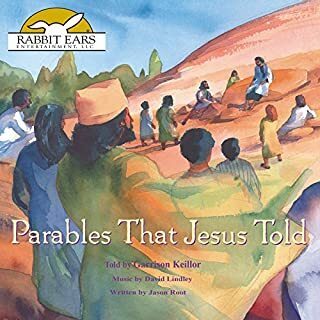 Here, narrated by public radio's Garrison Keillor, the parables of The Sower, The Good Samaritan and The Prodigal Son come to life against the backdrop of Jesus' journeys through Galilee and Judea. The parables are put into a context that makes their simple truths resonate with meaning for young audiences. A long time ago in Denmark, a childless couple is blessed with a radiantly beautiful baby girl. She is no bigger than a thumb, so she is called Thumbelina. Snatched from her family by an ugly toad who wants to marry her, Thumbelina escapes, befriending various creatures of the forest. Ultimately, she meets the king of the flower angels, with whom she finds happiness forever. Not acceptable for young children. Plucky Flossie Finley asks a clever fox to prove that he is a fox before she will be frightened of him on her way to deliver a basket of eggs. Narrated by author Patricia McKissack. In the yellow hues of the African plains, hunting was easy for the leopard, whose light coat served as camouflage. When all the animals moved away, the hungry leopard had to follow them to the striped, splotchy, spotted forest. But he didn't stand a chance of survival unless, of course, he acquired spots himself. Meryl Streep reads this enchanting story by Beatrix Potter, which has captured the imaginations of children around the world for years. Mr. Jeremy Fisher's minnow-fishing trip turns into quite a surprising adventure. It comes packaged with a second story, The Tale of Peter Rabbit, which is also read by Meryl Streep. Both readings are accompanied by whimsical music performed by Lyle Mays. This is the touching story of the benevolent naturalist who roamed the Ohio valley in the early 1800s, planting apple orchards, making friends, and spreading goodwill along his way. Known to early settlers as a gentle soul with a reverence for all life, Johnny never missed a chance to save an abandoned animal or to savor a delicious apple pie. Garrison Keillor's narration is accompanied by original music by Mark O'Connor. Ages five and up. Denzel Washington reads this larger-than-life tale about the African-American hero who was born with a hammer in his hand. Join John Henry on a scenic journey from cotton country to the wilderness, where he finds men of all colors working together to build a great railroad. In no time, John Henry becomes king of the railroad camps by driving more steel than any man alive. And, in an exciting contest that pits man against machine, he single-handedly out-performs a new-fangled steam drill. Read by actor Michael Caine with original music by Ellis Marsalis and featuring cellist Yo-Yo Ma. One day, King Midas sees a beautiful butterfly illuminated by the golden light of the afternoon sun. He is so taken with it that he wishes for the power to turn all things he touches into gold. But when a strange messenger arrives in a chariot and grants him this desire, King Midas soon comes to realize that there are some things in life more precious than gold. Hans Christian Andersen's story of the tin soldier and the hardships he endures for the love of a ballerina has enchanted children over the years. This elegant narration of the poignant classic by Jeremy Irons will charm young and old alike. It's a bright and beautiful spring day, and Pearl, a pig, is dawdling on her way home from school. Most unexpectedly, she strikes up an acquaintance with a small bone. Pearl and the bone immediately take a liking to each other, and before you know it she is on her way home with the bone in her purse, left open so they can continue their conversation. Won't her parents be surprised when she introduces her talking bone! Take a rollicking ride through the Wild, Wild West with the original cowboy, Pecos Bill. Raised by coyotes to brave the great frontier, Pecos rides his wild mustang Widow-Maker and invents the first rough-and-tumble cattle drive. Then he mounts a runaway cyclone like a buckin' bronco to create the Great Salt Lake. Sassy, sassier, sassiest! That Brer Rabbit was the back-sassiest critter in 10 counties and it got so Brer Fox just couldn't bear it another second. So he stirred himself up a sticky, gooey Tar Baby and left it on a log for Brer Rabbit to run smack into. A little boy receives a toy rabbit for Christmas one year, and he and his plush plaything soon become best friends, embarking on imaginary adventures for hours at a time. When the boy and the rabbit are separated, the toy ventures out on its own to learn about this strange thing "being real". This is a heart-warming classic about the great joys of childhood and the magic of love. 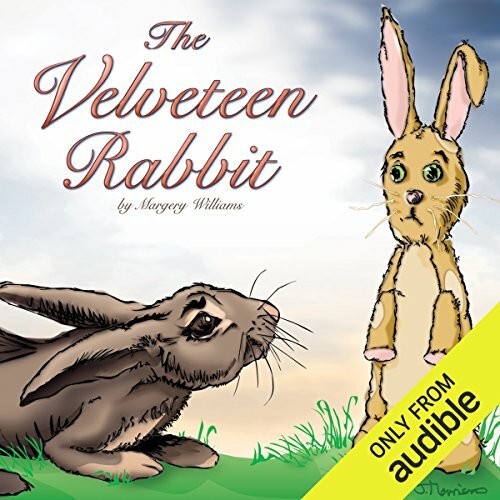 ©2006 PC Treasures, Inc. (P)2006 PC Treasures, Inc.
Where does The Velveteen Rabbit rank among all the audiobooks you’ve listened to so far? I listened to this with my 6 year old in the car, and she was completely engaged in the story, and was asking for more when it was over. Great listen for a short family drive. One that I remember from childhood. My 3yo niece says her favorite part is "when the boy loved the bunny." This book was a childhood favorite & still is. This particular presentation was extremely we done. I’ve always liked this book as a child, but now as an adult, listening to it with my child, I am in LOVE with it. My favorite narrator for the story so far. Definitely recommend this version! I can see how the book can appeal to people of all ages. I really enjoyed the talk with the horse and when the velveteen rabbit met the real rabbits. Would you listen to The Velveteen Rabbit again? Why? Yes, I will listen to this again because I never read/heard it before. I enjoyed the whole thing and I can't believe that at 56 I never heard/read it before! I was glad that it had a good ending. Kids and adults like for good things to happen. "What is real?" asked the rabbit to the rocking horse. "does it mean having things that buzz inside you and a stick out handle?" "Real isn't how your made" said the rocking horse "it's a thing that happens to you when a child loves you for a long long time. Not just to play with but really loves you. Then you become real." "Sometimes" said the rocking horse because he was always truthful. "when you are real, you don't mind being hurt".... "generally by the time you are real most of your hair has been loved off and your eyes drop out and you get very loose in the joints and very shabby but these thing don't matter at all because once you are real you can't be ugly except to people that don't understand"